GreenPro Locksmith offers expert security tips and services for apartments in Atlanta, GA and all nearby locations. Call us now for Apartment Locksmith Services. To help you achieve an increased level of security in your home, professional locksmiths from GreenPro Locksmith in Atlanta has developed this home security-informative article. If you follow the tips shared in this write-up, you’ll probably secure the lives of members of your family, valuables and personal items. This article is divided into two sections; the first part is about the right security considerations before making your choice and signing the lease agreement and in the second section, we shared the DIY and cost-effective tips to upgrade the security of the apartment. What to do before committing to a lease? Most times, renters are carried away with the beauty of an apartment without having a proper check on the apartment entrances and the internal security. Check the keys and imagine how easy a break-in might be. If the keys are old or probably worn out, that’s a red flag. Researching about local crime data will help you make the right decision whether to move in or continue searching for a location with lesser crime activities. Whether the crime rate is low or not, the consciousness of your security should not be compromised for any reason. We recommend you upgrade the security of the apartment if you’re not the first tenant and this should be done after signing the lease or moving into the house. The most affordable thing to do is to rekey the locks. Yes, changing the locks might be costly but you can achieve same security levels by rekeying. 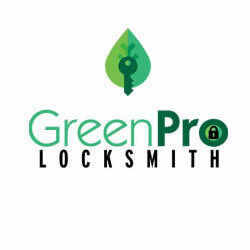 For more information about rekeying your locks, you can contact locksmiths from GreenPro Locksmith. Installing motion sensors are the most affordable way of alerting the neighborhood when the doors and windows are forcefully opened. The sensors are designed to trigger an alarm if an intruder is at your door and they are far cheaper to purchase and install than surveillance and security cameras. A peephole makes it possible for you to see who is at the door so you can decide whether to allow the person inside your house or not. Though this is a good idea, it's advisable you inform the landlord or real estate administrator about this because it involves making a hole in the door. If that is not allowed, then you need to try a doorbell camera which uses a smart technology to enable you to access the visitor with a smartphone. Intruders and burglars are after valuable items they can pawn or easily sell so the things they look for when they break into your apartment are pieces of jewelry, phones, gadgets, credit cards etc. Therefore, you need a last line of defense that will help you protect your valuables and make it harder for the burglar to succeed. In conclusion, you should be a team player and collaborate with other tenants towards ensuring that your residence is highly secured against the activities of intruders and bandits. For further information about other cost-effective ways of securing your apartment, give us a call at GreenPro Locksmith. Lots of activities do happen at the beginning of a new school calendar, especially the reunion of schoolmates and lots of tales about vacation adventures. The new school year is a period of excitement and hope, it should also be a time for parents to be concerned about the security of their children. Key fob programming for wireless remote entry systems can become problematic sometimes, but if you happen to face such problems, do not panic or try to force your entry into the car, simply give us a call at GreenPro Locksmith and we will be right there to provide the much-needed Key Fob Remote Repair that will get your car back on the road once again.